We take a bookkeeping services team approach with every client. 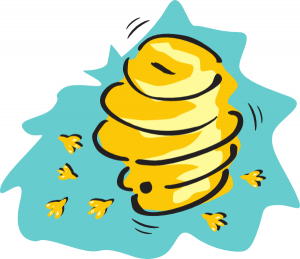 We call it the “beehive approach.” After signing up and picking the bookkeeping services you need for your business, we don’t just throw your whole workload on a bookkeeper in our office. All of our staff work for you as a team. You get a team of trained and specialized staff to meet all your individual needs. Onboarder/Troubleshooter – a bookkeeping service team member will be responsible for making sure you are comfortable with our system, both on the technology front and what we should do to streamline processes and create a bookkeeping system that work best for you. This Remote Quality Bookkeeping services team member will get your computer and devices setup with easy access to our system, gather any initial information from you necessary to do your selected tasks, work with you to make sure our system is tailored to the way you operate, work on ways to streamline processes, and make sure the other members of our hive are all aware of what tasks they need to complete for you and when. Think of this bookkeeping services team member as your project manager. Once everything is setup with them you will begin to get introduced to your new bookkeeping services team of professionals. Banking Specialist – As part of our payroll service, the Banking Specialist is the bookkeeping services team member responsible for doing weekly bank and credit card downloads. This person will keep your cash flow up-to-date every week. Downloading transactions directly from all of your financial institutions, classifying that data to your specific chart of accounts, and following up with you about any activity they can’t classify or find questionable, like fraudulent charges and other unusual transactions. This bookkeeping services team member will also assure that all your banking activity is reconciled once a month, including reconciling your banking activity to your accounts payable, POS, and/or any other systems you might be utilizing in accounting for your business. Payroll Specialist – A hands on, no hassle, person to handle all your payroll needs. They will help make sure your company is setup to pay and file all payroll taxes. They will also work out a system that is convenient for you in sending your payroll information, notifying you when payroll taxes are going to get paid, and a customized way to get the payroll reporting you want to see, like job costing reports for example. AP/Data Entry – We have staff on hand to take care of those time consuming manual tasks. We will use technology and processes to make your data entry as efficient as possible, but when there is no other way, we can always have multiple people crunching the numbers. This becomes very efficient during grueling clean up projects, as we can put 2 or 3 of our staff on it and complete projects in a much shorter time than you might. Outsourced CFO – a bookkeeping services team member who can help you make sense out of everything your bookkeeping team does for you. This staff member can setup remote, online appointments with you, where they can get hands on in digging into your financials. This can help you find key financial metrics for running your business, help you understand your reports, and where you stand overall financially. You can schedule a CFO for hire for a time that is convenient for you and when you need it. While our bookkeeping services team members do specialize in specific areas to assure your bookkeeping is handled timely, accurately, and efficiently, when push comes to shove we are all working for you. If someone in our office goes on vacation or gets hurt, there is always someone here to cover their workload. If you call our office, anyone here is available to help you out when you need it. Don’t put all your eggs in one basket. Hire a whole hive so that you can have peace of mind and let your business thrive! To learn more about Remote Quality Bookkeeping visit our About Us page. If you are interested in getting started with our bookkeeping and payroll services, contact us today!